Women’s rights are human rights. Under international human rights law, women have the right to a safe sexual and reproductive life, free from coercion. 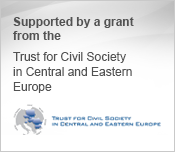 In the past decades, considerable progress has been achieved in Europe in that direction. Yet, women continue to face widespread denials and violations of their sexual and reproductive rights. Laws, policies and practices, underpinned by pervasive gender stereotypes and inequality, still curtail and undermine women’s sexual and reproductive health, autonomy, dignity, integrity and decision-making in serious ways. Moreover in recent years, resurgent threats have emerged in this field jeopardising longstanding commitments to gender equality and women’s rights. 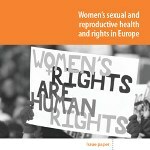 European states have the duty to take effective steps to respect and protect women’s sexual and reproductive rights. This means respecting a range of civil, political, economic, social and cultural rights, including the rights to life, to health, to be free from torture and ill-treatment, to privacy, equality and non-discrimination. As a result, states have the obligation, under international human rights law, to provide all women with accessible, affordable, good quality sexual and reproductive health care and services. They should eliminate laws, policies and practices that infringe upon these rights, and prevent erosion of existing protections. Sexual and reproductive rights protect some of the most significant and intimate aspects of our lives. Ensuring these rights for women is a vital component of efforts to achieve gender equality; and it benefits society and humanity at large. Given resurgent trends seeking to roll back protections in this field, a renewed commitment to these rights is essential. • Some countries have introduced laws, policies and practices that limit women’s autonomy and decision-making in particular through retrogressive restrictions on access to contraception and abortion care.